Cider styles are hard to pin down because historically, styles had little value to the cider maker. The cider they made was the only cider they had the resources to make. It’s not so different today. But to understand it you have to go back to cider’s roots. Cider is an ancient drink though no one is quite sure when it was first made because of the geography of its main component, the apple. Apples were historically confined to the cooler climes of Western Europe and Britain where civilization was slow to develop record keeping. When Julius Caesar and his legions took their tour of the British, they found cider being made from the crab apples, ancestors of the bittersweet and bittersharp apples used by today’s English cider makers. They brought the “new” beverage back with them and, of course, wrote it all down for us. Cider styles, not unlike beer styles, were developed based on: the methods used, the apples available and local tastes. Production techniques developed, as with most technology, by trail and error. In fact the variables were nearly too widespread to track, including: spontaneous fermentation, the type of vessels used, atmospheric conditions and the apple varieties. Refinements came much later when cider making became a profession and the process was better understood. However, as the popularity of cider grew, styles began to emerge. The French developed a sweet low alcohol ‘cidre’ taking advantage of the sweeter apples and the keeving process. The English too developed a cider, but theirs was a higher alcohol ‘dry’ version, using open fermentation vats and bittersweet crab apples. These are the roots of the styles we know today. The re-emergence of cider as a popular drink has spurred an interest in cider styles as a means of understanding and evaluation. When you purchase a bottle of wine or beer you would like to know how it stacks up to the others on the shelf. In the same manner, understanding basic style profiles can enhance your cider experience. Style profiles are also tools for judging ciders in competition. A number of organizations hold competitions for ciders both commercial and home made. Without guidelines, the ciders are all thrown in together and may not get a fair shake. the cider arm of CAMRA, ‘APPLE’, identifies cider styles. They have but two categories “real cider” and all others. They promote traditional cider that is made of 100% apple juice, fermented to dryness, cask conditioned and served from the wood. No adjuncts, nor cutting with water or juice, nor anything else that would artificially change the character of the apples’ natural flavors is allowed. The BJCP (Beer Judge Certification Program) breaks cider into three basic categories: standard, New England and specialty. Although more comprehensive than that of CAMRA, areas remain open for interpretation. To more accurately describe cider styles Annie Proulx and Lew Nichols, in their book “Cider, Making, Using & Enjoying Sweet & Hard Cider”, have identified four styles of “hard” cider. (Five if you count the unfermented “sweet” cider.) The four types are; old fashioned or barrel cider, New England cider, French cider and flavored cider. Most all ciders fit in these categories but some experts break the styles down further. Noted cider writer, Cézanne Miller, includes seven styles on her list. In addition, the North American Brewers Association TM has published style guidelines for judging. Both of these are similar and are based on research and personal expertise. By far the most common category of commercial ciders are the draft ciders. Draft ciders are usually produced in large quantities and are sold, quite incongruintly, in bottles. These ciders are quite diverse but all are produced by essentially the same process. The juice is fermented in large vessels to dryness, that is to say all sugars are converted to alcohol, these fermentations are then blended, cut and flavored. In general, draft ciders have water, apple or pear juice added to lower the alcohol content to not more then 6%. Apple or pear aroma and taste should be crisp and evident with some esters, alcohols and sulfur present in low levels in the aroma. It may be dry or sweet, still or effervescent. Warming alcohol may be present at the upper end of the alcohol range. They have a light body and are clear, bright and are usually pale yellow in color. Astringency, which is a fault in beer, is a sign of a well-made cider, but it should only be present in the finish as a drying sensation. They are both naturally and force carbonated. Draft ciders come in a number of varieties. Apple only cider is made with and cut with apple juice or apple juice concentrate only. No water is used to dilute and lower the alcohol level of the cider. This gives them a sweeter, full apple taste and aroma. Some draft ciders are made with adjuncts. This cider has been cut with sugar water, carbonated water or a combination of these and may also include some juice or concentrate. These are less expensive and a bit more sweet and effervescent. The alcohol levels are at the lower end of the scale. Another low alcohol cider is the French style cider or Cidre. This is cider that has had its fermentation arrested by the process of keeving (defecation) or subjected to SO2 for the purpose of keeping the alcohol content low. A crust is allowed to form on the surface of the must (the un-fermented juice) as it ferments. This reduces the oxygen levels in the must that shuts down the yeast to stop the fermentation short of dryness. This produces a light, sweeter cider with an alcohol level usually between 2-5%. No additives are allowed in this category and the cider may not be cut with anything. French style cider may be effervescent or still. A case can be made for including French style in the farmhouse category if it is produced in a totally natural manner and nothing is added. Farmhouse styles can be categorized into dry cider in which nothing is added or removed and the alcohol levels are usually high. This is natural or real cider. Sweetened farmhouse cider has been sweetened with whole apple juice or sugar. New England style is an effervescent or still cider with an alcohol content between 8-14%. Adjuncts such as raisins, molasses and sugars are commonly added for flavor and color. They are naturally carbonated. There are very few commercial examples of New England style but it is a favorite of many home cider makers. The next category, specialty ciders, covers a lot of ground. These are ciders with alcohol content usually under 14%. Any and all adjuncts are allowed in this style. It is sometimes cut with water or juice and can be spiced or flavored with most anything the cider maker’s imagination can conjure up. The total of unfermented juiced added must be at least 75% apple or pear juice. Apple or pear aroma dominates the nose. There may be some other esters and alcohols and low levels of sulfur may be present. They may be still to very effervescent and are usually pale yellow in color. The flavor profile should include any adjuncts that were added but they should be balanced with the apple or pear flavors. Dry to sweet, these have warming alcohol but should not be harsh. The sweet and acidic characteristic should balance in the flavor profile. Some writers include cyser in this category, a cider to which honey is the only adjunct. 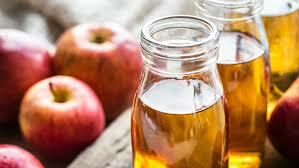 In most references the name cyser is used for a mead or honey wine with apple juice added for flavor. Perry is a special case cider. It is a beverage made of primarily (50% or more) pear juice. These are not pear ciders that are mostly apple juice with pear juice added as a mellowing agent. Pears are less acidic and therefore takes away some of the apple bite. Perries are made in styles similar to draft and farmhouse ciders substituting pear juice for apple juice. In competitions these are often included in one or more of the cider categories. These style guidelines are just that, guidelines. There is no great consensus on cider styles in the industry or among cider makers. Our discussion should help you appreciate each of the styles on their own merit. But remember, cider makers still hold to the old adage “make what tastes good and sells well”.